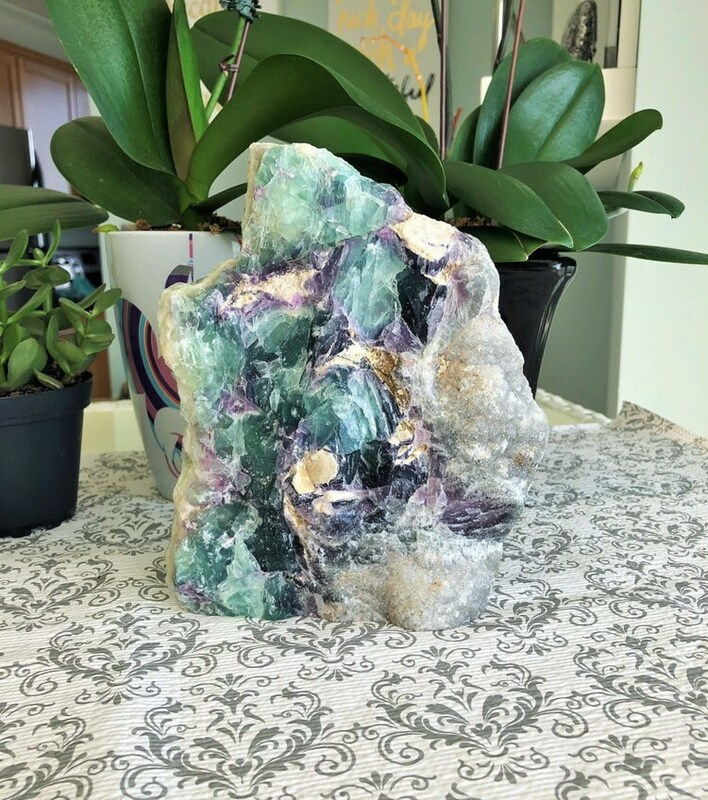 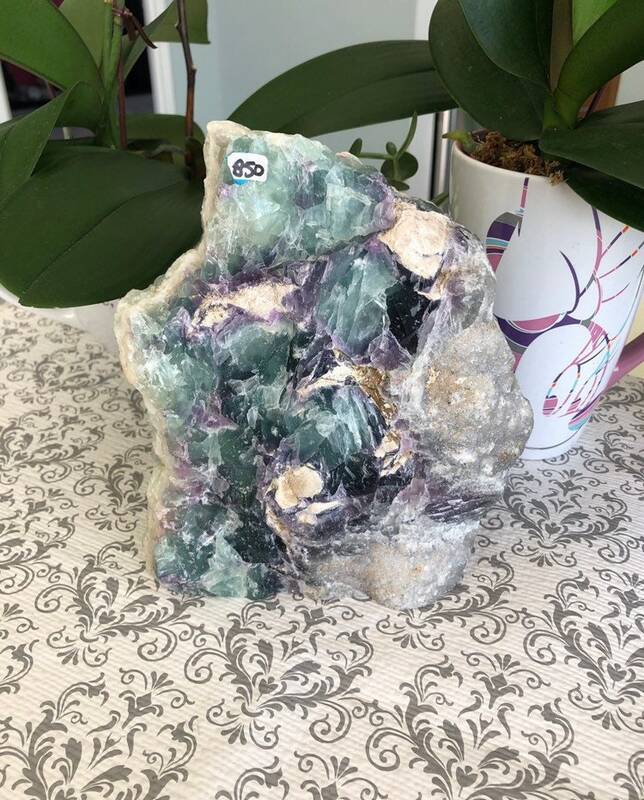 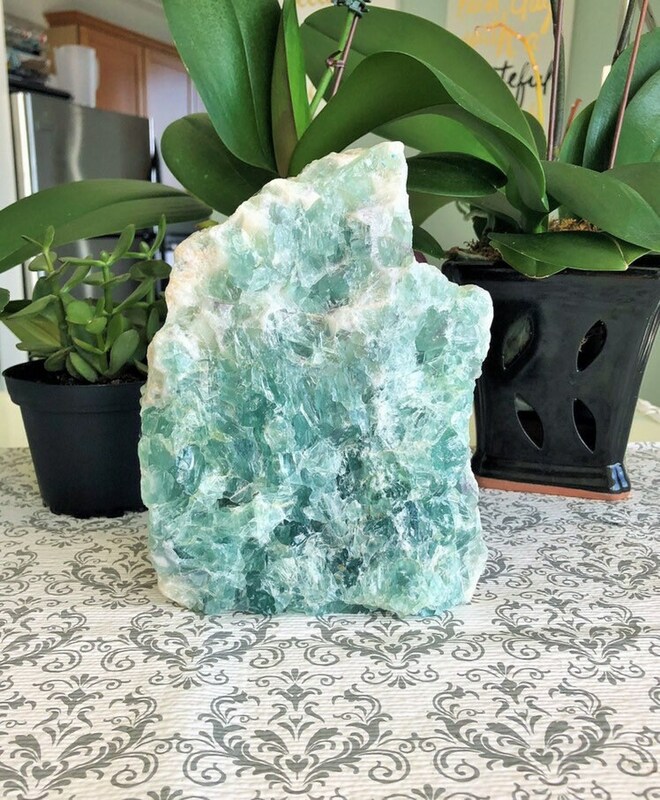 Bring in this beautiful large high quality rainbow fluorite crystal. 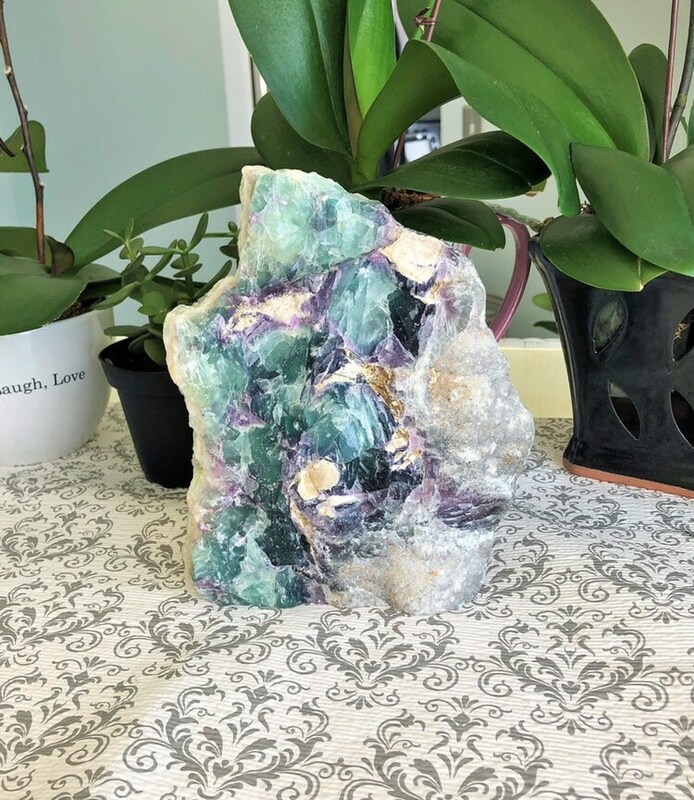 Fluorite Stones act like a vacuum cleaner for your mind, clearing it of confusion, cluttered thoughts, negativity and any thoughts that no longer serve your best interest. 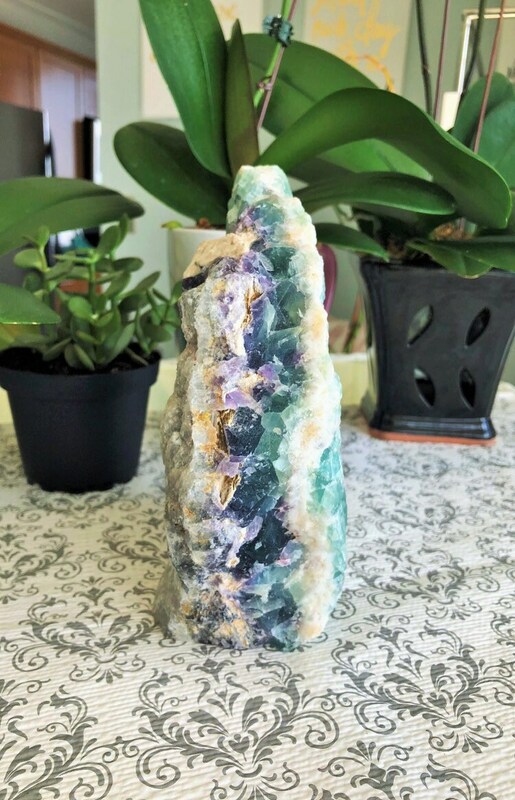 It helps to balance both the third eye chakra, bringing clarity of mind. 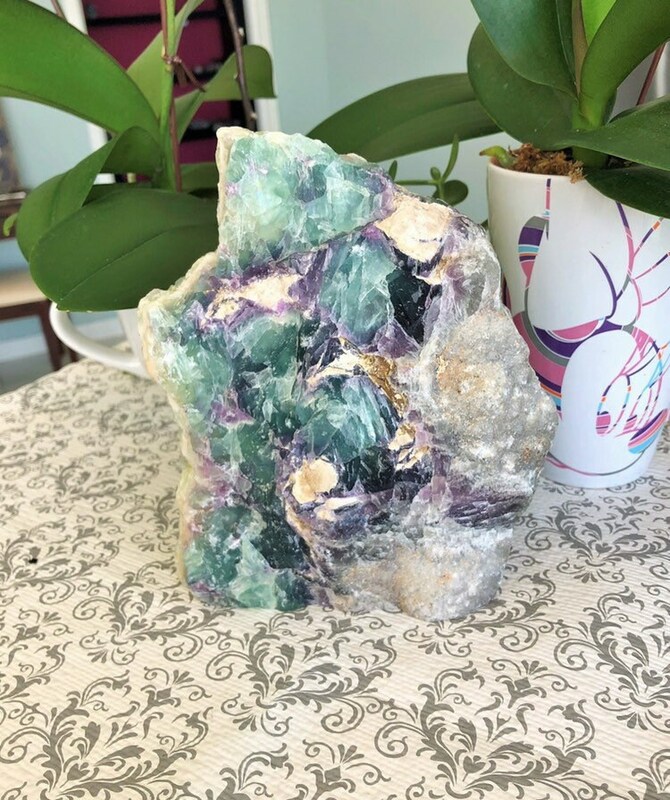 Fluorite stones absorb and neutralize all negative energies, making them the perfect gemstone to keep in the home. 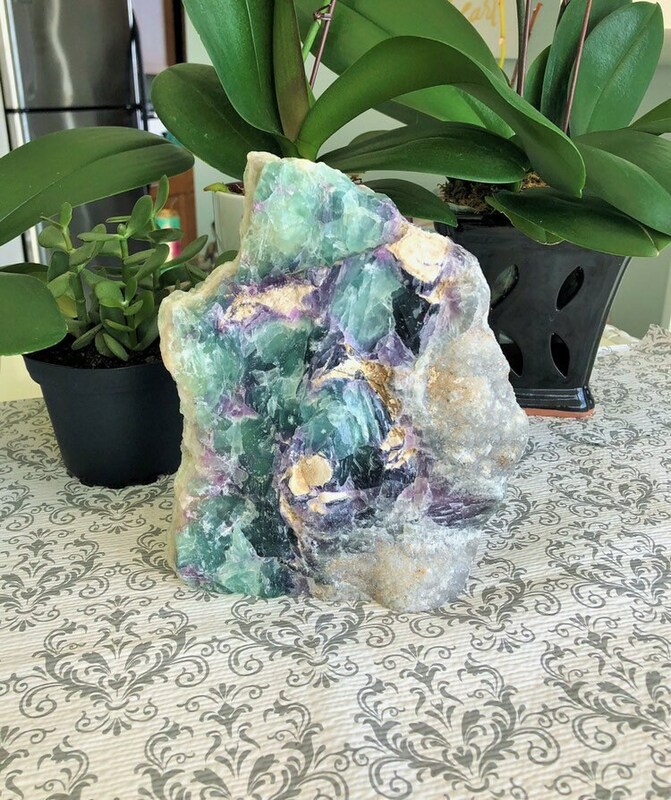 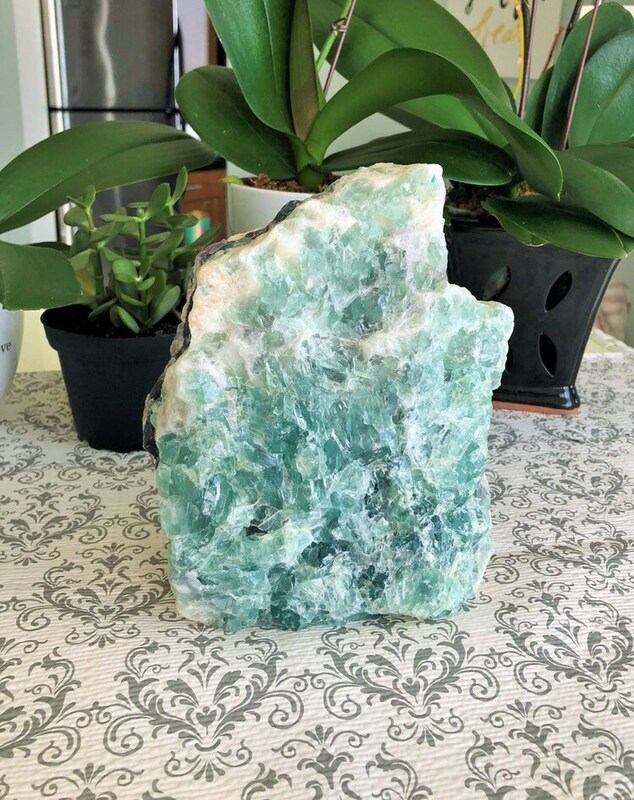 In fact, many people keep fluorite stones in every room of their house to ensure there is always a flow of positive energy. 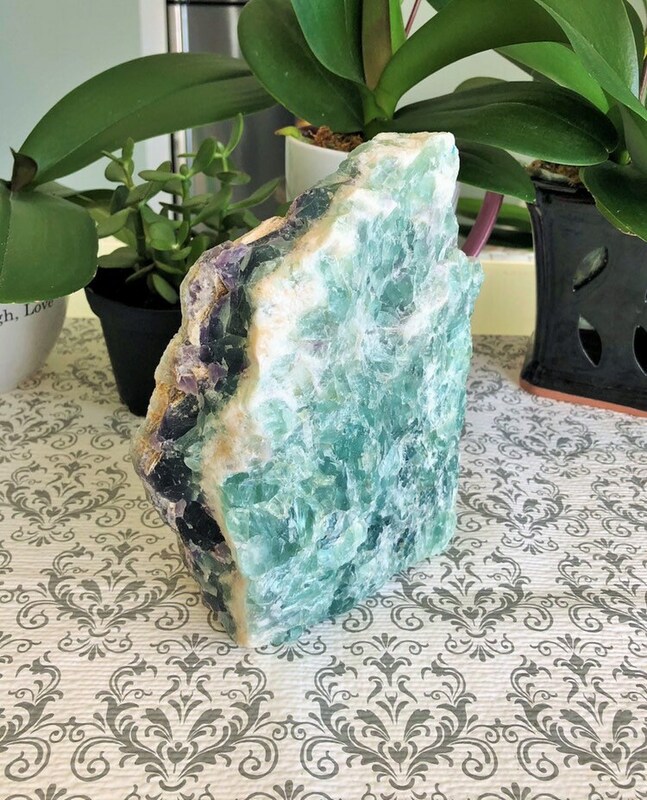 It is also sometimes referred to as the “Genius stone,” because it increases concentration and aids in decision making.